. : You Know You Want It :. Food and wine pairing got you stumped? Get your FREE food & wine pairing e-course, with recipes, delivered straight to your inbox!
. : Shop for the Good Stuff :.
.: Subscribe Via Email :. I’d been wanting to read this book since it came out back in . . . . oh, April 2010, I believe. 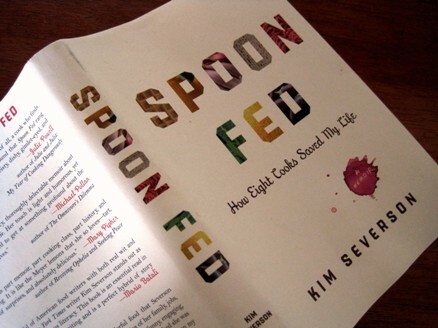 Kim Severson was a food writer for the New York Times for six years (she’s now Atlanta bureau chief for the paper). One of the best things I’d ever read in the Times was her “Festiveness, Stacked Up Southern Style,” about the cake ladies of Southeastern Alabama, a screaming good read. It was about these ladies in Alabama who make these tremendous layer cakes, some of them 16 layers. I am not making that up. Severson’s memoir covers her time as a journalist in Alaska, to her turn as a food writer for the San Francisco Chronicle, to her move to the New York Times as a food writer. THE New York Times, I tell you! (Yes, I am an East Coast, New-York-Times-loving liberal. So sue me.). Let me tell you something about this book: it is a very good story. With humor, grace and unflinching honesty, she talks about her successes and failures with this really endearing self-deprecation that resonated strongly with me. If you’ve ever enjoyed highs and lows in equal measure and been riddled with self-doubt through both, this book will likely resonate with you too. Not to mention, the writing is perfection. I grant you this might not sound like a recipe for a real fun read, but it is. Some of the passages where she delves into her partying behavior will have you laughing out loud, and make you want to give her a high five for getting beyond it all. There were wine tastings where I’d start the evening by keeping careful notes, rejecting bottles with quiet arrogance and commenting on the best of the lot with what I felt was brilliant and original insight. By the end of the night, my notebook would have fallen into the toilet and the few other drunks left at the party would help me polish off the bottles we had hours earlier declared swill. Then someone would call their drug dealer. The book focuses on her addiction early on, and weaves it throughout the narrative, delicately and insightfully, but this is not a story of wild drug-induced and drunken encounters on the way to sobriety. Nope, it’s really a story of how her encounters with eight cooks – some of which you will have heard of and some not – helped turned the ship around for her, and the lessons she learned along the way. Of course, she did the work. You know, both figuratively and literally. She figured out how to right herself. But each cook provided a valuable lesson that made it possible. There’s Marion Cunningham, Alice Waters, Ruth Reichl, Leah Chase, Edna Lewis, and even Rachael Ray. Yep, that Rachael Ray. Offering wisdom born of the kitchen, applicable to daily life. For example, her time with Ruth Reichl teaches her one of the most important lessons she learned over the years: not to let yourself be tortured by the “popular girls” by comparing yourself to someone you think is prettier, more successful, or “better” in some way. In Rachael Ray, she sees a lot of herself, and learns that being your authentic self is where you’re the strongest. From Marion Cunningham, that it’s never too late to start over. And hey, there are good recipes here, too. Meyer Lemon Meringue Pie, anyone? I love this book tremendously, so much so I recently read it for the second time. If you’re looking for a funny, wise, insightful and mouthwatering read for yourself or for the cook in your life, this one sure satisfies. Yep, we’re on the cutting edge here in Wilmington — we have a pop-up restaurant, right here in our own charming little town. What is a pop-up, you ask? Here in Wilmington we have Canapé, founded by partners Matthew Gould, sous chef at Caprice Bistro, and Sean Pascarelli, bakery apprentice of La Gemma Italian Bakery, which last popped up at Manna downtown in August of this year. The theme this time was to be street food from around the world, cleverly called “Canapé Street,” an idea I thought wildly interesting. The cancellation message promises they will be back in the Spring of 2012, so be on the look out for more culinary inventiveness then. Crazy-good tomato sauce, best tomato sauce ever, simplest tomato sauce ever, revelatory tomato sauce . . .
I’d read so many superlatives about Marcella Hazan’s simple three ingredient tomato sauce, I nearly expected the stars to fall out of the sky when I made it. Or to be transported to said stars. Ok, so while that didn’t happen, this ethereal and lovely tomato sauce did cause a smell to waft through my apartment that can only be described as . . . heavenly. And I guess that’s pretty close to the stars. Yep, it’s that crazy good. You may be tempted to add garlic or basil or one of your other usual tomato sauce ingredients here, thinking this sauce can’t possibly be flavorful enough with just three simple ingredients to warrant all the fuss made over it, but I assure you, it is. You will be shocked at how good it is, given you simply throw three things in a pot and pretty much walk away for 45 minutes. I promise you, it’s rich, indulgent and has plenty of depth just the way it is, prepared according to the recipe. I urge you to try it in its original form first, then next time you make it, add whatever you like. But enough about all that. Here’s a pic of what it will look like in the pan while it’s simmering, with the recipe just below that. The beginning . 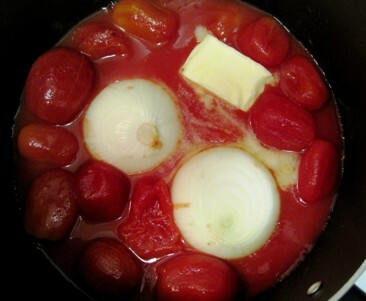 . .
• Combine the tomatoes, their juices, the butter, and the onion halves in a heavy saucepan over medium heat. A 3-quart pan works well. • Bring the sauce to a simmer, then lower the heat to keep the sauce at a slow, steady simmer for about 45 minutes, or until droplets of fat float free of the tomatoes. • Stir occasionally, mashing any large pieces of tomato with the back of a wooden spoon. Taste and salt as needed. And there you have it, it’s just that easy. • You may find you don’t need to add any salt, as the tomatoes you’ll use are likely salted. • I’ve made this sauce twice, and both times I wish I would have mashed up the tomatoes a little with a potato masher or similar before adding them to the pot, to make the final sauce not quite so thick and chunky. 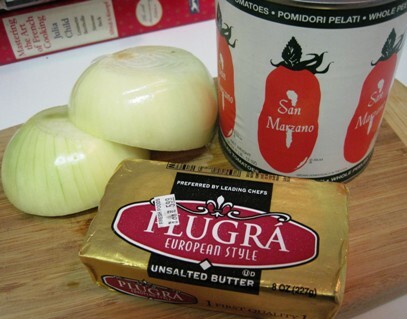 • I served this sauce over penne, and grated some good Parmigiano Reggiano to top it with. But here’s the thing, I didn’t end up using the cheese, because I wanted to fully appreciate the luscious sauce. That’s how good it is. • I served it with a sparkling wine, Ruffino Prosecco, which made this a really special meal. I was surprised to find this Ruffino Prosecco in my local Teeter, as I never even knew Ruffino made Prosecco. Turns out they didn’t, until now. You’ve probably seen the familiar Ruffino label in most major supermarkets, usually on a bottle of Chianti or similar. But Prosecco? Who knew? This is their first Prosecco offering, and it’s well priced, at around $12-$14. Some Proseccos can seem really “appley” and rough around the edges, with their big, unsophisticated bubbles and less-than-refined flavor profiles, but hey it’s Prosecco, it’s not meant to be fine champagne, right? Still, this Prosecco was delicate and light, with smallish bubbles and a nice, dry fruity flavor. I adored it. I paired it with Penne with Marcella Hazan’s heavenly 3 Ingredient Tomato Sauce, a terrific combination. (Recipe to come next blog post). This wine is “extra dry,” meaning, it’s mildly sweet. Yes I know, it’s confusing. Because dry is the opposite of sweet, so you see “extra dry” and you think, well, extra dry. But with sparkling wine, forget what you know about still wines, where the far end of the dry spectrum would mean no sweetness at all. In levels of dryness with sparkling think sweet to dry, in this order: Doux, Demi-Sec, Sec, Extra Dry, Brut, and Brut Nature (you’ll see the term “Extra Brut” sometimes too), with Doux the sweetest, and Brut Nature the driest. So as you can see, “extra-dry” is not really what you might think it is. An extra-dry style, the 100 percent glera (Prosecco) grapes are sourced from highly sought after vineyards located in the Northeastern regions of Italy. Batches underwent individual traditional white wine vinification, and, as with all Prosecco, the final blend underwent Charmat fermentation in tanks for one month, producing a bright, fruity style at a moderate 11 percent alcohol. Nose: Fragrant and intensely fruity, with clean notes of apples, pears and citrus, accompanied by slight hints of hawthorn, wisteria and elder. Palate: Crisp, clean and delicate, with fine bubbles. Hints of peaches and apples drive a pleasant aftertaste. 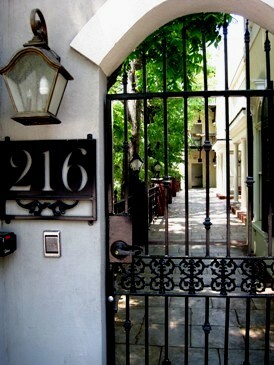 Elegant and balanced. Food pairing ideas: Ideal as an aperitif. Sparkling wine in general is very versatile with food. It really depends on its level of sweetness. But let’s not worry about that here. Generally speaking, sparkling wines like Prosecco pair well with lightly salty foods like buttered popcorn, salted nuts, and tortilla chips; fried foods like calamari, egg rolls or French fries; creamy, rich sauces; egg dishes; seafood of all kinds; Japanese cuisine, and cheeses like Goat, Brie, and Camembert. 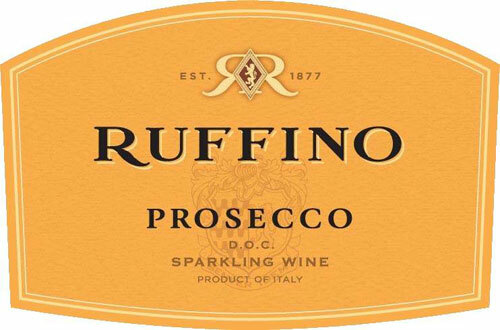 Ruffino Prosecco matches perfectly with pizza, fish and shellfish dishes as well as white meat dishes. It was sublime with the delicate 3 ingredient tomato sauce I paired it with, the recipe which I’ll be sharing next blog post in a couple of days. Best when young; drink within four months from purchase. Go out and get yourself some, and don’t wait until the weekend either; this is a perfect weeknight bubbly! I visited the place where we last met. And nothing to instruct me to forget. So, what the heck does it mean? Well, I’ve been away from Wine & Walnuts for well over a month, so this excerpt from one of my favorite poems seemed appropriate. And I wanted to post something, some little tidbit, to announce that I haven’t gone away for good. Nope, it’s way more pedestrian than that. I’ve simply been nose to the grindstone working three part-time jobs, to the tune of 60 hours/7 days per week, for the last couple of months. Which is a grind, but necessary for the short term. So while I attempt to adjust to this schedule, blog posts will be a little less regular. Just briefly, though. This is hands down one of my favorite Rosés. I had it couple of years ago at a tasting, bought a bottle, then for some reason couldn’t find it again. Which made me very sad. Then one recent Sunday, I’m ambling around World Market looking for a wine to buy. Since most actual wine stores aren’t open on Sunday here in our charming little town, World Market seems to be my wine retailer of choice if I’m shopping for wine on that day. On this particular Sunday, I saw this wine and nearly wept with joy. Yes folks, it moved me that much. That’s because as a lover of good Rosé, I know how very challenging it can be to find one I like if it’s Sunday and I don’t have access to a true wine retailer. My impressions: Flavors of strawberry and spice, with good fruit and a nice, loooooong finish. Because it’s made with Malbec grapes, there’s some there, there. Meaning, this wine has some body to it. It will set you back about $12. Twist-off cap. Alcohol, 13.5 %. Would pair nicely with both white wine and red wine foods, so it would be good to have on hand for a large gathering with lots of food choices, or when you’re serving dinner to both red and white wine drinkers. I initially saw mention of this recipe over on Adam Roberts’ fine blog, The Amateur Gourmet, and was instantly intrigued. A mimimalist recipe with few ingredients, yet rich, silky and decadent, and easy to prepare? Ok, I’m in. You know from the recipes I share on the blog that I pretty much never tackle anything time-consuming or complex, even so, this one is at the top of my list for easy-to-make, yet elegant and delicious. Don’t be fooled by its simplicity though; like Bon Appetit says, it’s the techniques used that elevate this recipe to “magnificent” status. Agreed. So yes, you definitely want to pay attention to technique here – such as using a sauté pan to cook almost done pasta and sauce together, for one – to get the full effect of this recipe’s lusciousness. • Bring 3 quarts water to a boil in a 5 quart pot. Season with salt; add pasta and cook, stirring occasionally, until about 2 minutes before tender. • Drain, reserving 3/4 cup pasta cooking water. • Meanwhile, melt 2 tablespoons butter in a large heavy skillet over medium heat. Add pepper and cook, swirling pan, until toasted, about 1 minute. • Add 1/2 cup reserved pasta water to skillet and bring to a simmer. Add pasta and remaining butter. • Reduce heat to low and add Grana Padano, stirring and tossing with tongs until melted. 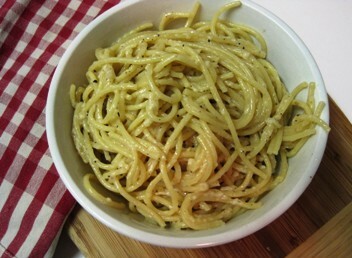 • Transfer pasta to warm bowls and serve. • To warm the bowls, ladle some of the boiling pasta water into them while finishing up the recipe, then just before you’re ready to plate the pasta, pour the water out and towel dry the heated dishes, placing pasta into them just after. 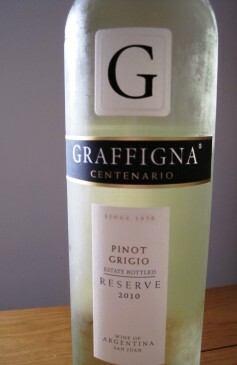 I am not really a fan of Pinot Grigio, but in the spirit of trying new wines, I tried this one, which I received as a sample. It retails for around $12. My impressions: This Pinot Grigio is not like the sea of other watery, uninspired, “there’s-no-there-there” Pinot Grigios out there. It’s got body and personality. On nose and palate: citrus peel – like the pith of a citrus fruit. Lemony, citrusy, but with some kind of smoky? chalky? flavor and aftertaste. Nice acidity. The most notable characteristic to me was the very pronounced notes of lemon peel. However, the more I tasted, the less I liked this. Personal taste,folks. I’m sure plenty of people would find this a pleasing characteristic; I did not. I don’t know how brides do it. Flowers, cake, invitations, reception hall, ceremony site, dress, choosing bridesmaids, photographers, videographers, transportation, caterer, wine, guests, and more . . .oh my! The number of decisions you have to make for a one-day event is simply staggering. And you want it all to be just perfect. So when it comes to the wine selection for your big day, though it’s just one decision among many, you want it to be right too. But there are a lot of questions to consider: How much wine do I buy? Which wines do I buy? 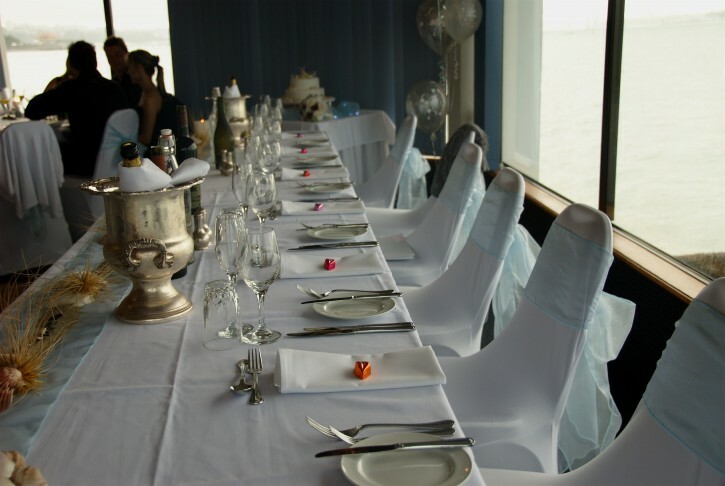 Which wines will go well with the reception dinner or buffet? How much is the wine going to cost, and where am I going to buy it? It’s a lot to consider, but it really doesn’t have to be stressful. So, how do you get started choosing? Well, if you’ve booked a venue where you’ll be relying on the wines they provide, then not to worry, your decision is going to be much easier, if a little more restrictive and run-of-the-mill. But if you’ll be purchasing the wine yourself, you’re going to need a few wine shopping guidelines. To reduce the stress, remember that the wines you select do not need to please the palate of a wine connoisseur, unless you or your honey happen to be one, and having the very best wine is important to you. At the end of the day, you probably just want to have some nice wines on hand that are interesting, tasty, and don’t break the bank. There are many wines that fit that description, so not to worry. And I’m going to tell you how to get started finding them. I’ve developed an in-depth knowledge of tasty, interesting, value-priced wines and where to get ‘em, from my years of being a wine enthusiast, service industry professional, seeker of wine values, and writer of this blog, so . . .
1. Visit with your local wine retailer of choice, and tell them you need guidance on buying wine for your wedding. If you have a favorite place where you regularly shop for wine, they will be happy to help you choose the wine, guide you on how much you’ll need to purchase based on your guest count, and suggest interesting, value-priced wines, based on your budget. Smallish, local wine stores are your best bet, because the staffers there will know A LOT about wine, and know the store’s wine inventory intimately, so they’ll likely have lots of good suggestions for you. If you shop at World Market, Costco, or Sam’s Club, you’ll have a large selection of wines to choose from, but you won’t get the same kind of personalized attention and service. And if you buy wine from a small, local retailer, some will even deliver the wines to your reception. 2. Buy by the case, it’s less expensive. Many wine retailers give 10% -15% discount or more on case purchases, so it makes sense to buy this way. A case is 12 bottles. When you’re buying by the case, you can buy wines of all one wine in the case, or you can buy a mixed case – which means your 12-bottle case can be made up of several different wines. Some retailers will give you a deeper discount on cases of all the same wine, and a bit lesser of a discount on a mixed case, and some give the same discount no matter how your case of wine is put together. 3. Know which wines work best for your reception particulars. The specific wines you choose for the reception are going to depend on several factors, including the format of the reception, your menu, the time of year, and the time of day. Winter weddings and heavier food may necessitate having more red wine on hand than white, summer weddings may be better off with a selection of white wines and light, fruity reds or rosé, outdoor receptions in the hot summer months will do well with crisp, low-alcohol whites and reds, and so on. And of course you want to choose wines that complement your menu. 4. Know your guest count and wine budget. When working with a local wine retailer, these two pieces of information are going to come in very handy. Here’s how to figure out how much wine you’ll need: A standard 750-ml wine bottle holds 25 ounces; which is the equivalent of five glasses of wine. Most caterers count on each guest consuming one-half bottle of wine, or about two glasses, every two hours. If the party lasts four hours, count on one bottle per person. This might seem like a lot, but these calculations allow for the fact that some folks will drink more, some less and some not at all. So, if you have 100 guests and a 4-hour party, that means 100 bottles of wine, or about 8 ½ cases, so let’s just say 10 cases of wine, for ease of math. You can find nice, interesting wines in the $10-$12 per bottle range, meaning a case will set you back about $120-$144, and with a 10% case discount, that brings your total down to $108-$130 per case, before tax. So in this scenario, with a wine budget of $1400, you can get 10 cases of wine, or 120 bottles. Obviously this is just a rough estimate, because not every bride is going to have 100 guests and a 4-hour party, and some wine retailers may give you a deeper discount than what I’ve calculated here, so just use this as a guide to get your own calculations started. 5. Gather as much knowledge as you can before making your choices by attending local wine tastings – FUN! There are lots of wine brands that consistently deliver good quality at very fair prices, so you should be able to find something nice, no matter what your wine budget. If you want to get a lot more bang for your buck with your wine purchase, then I suggest you buy by the case, choose wine from lesser known producers with a good reputation, and buy wines from up-and-coming or lesser know wine regions, like South America and Washington State, for example. Also, knowing something about wine and your own personal preferences by attending tastings will help you hone in on some marvelous wine bargains. It’s 4th of July – Happy Birthday, America!! – so of course we have to talk about BBQ, and barbecuing. And wine. Now here in Eastern North Carolina, when we say “BBQ,” we mean the good stuff – wherein a whole hog is slow-cooked for many hours, then the meat is pulled from the bone, chopped fine, and doused in a vinegar-based “sauce,” if you can call it that. And it is de-lic-i-ous. However, I realize that BBQ is also a way of cooking or a type of cuisine . . . so let me just preface this blog post by flagging up that when I say “Best Wines for BBQ,” I’m talking about the general variety of cooking meats to make them charred. Super-lucky eastern North Carolinians who get to eat the ambrosial pulled-pork version of BBQ will also find useful suggestions here, however. Spicy Zinfandel with its smoky, peppery qualities is a near perfect match with barbecued meats. Zinfandel’s natural affinity for grilled and barbecued foods means it will nicely complement all sorts of backyard bbq favorites — burgers, ribs, chicken, steak — pretty much whatever you throw on the grill this summer is going to work with Zinfandel. 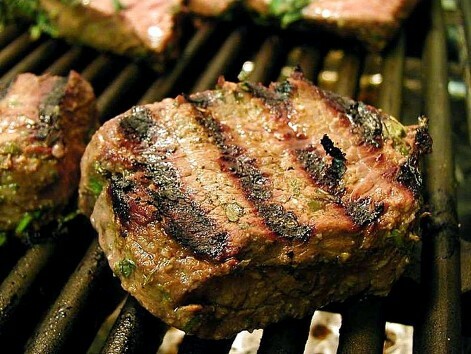 Its big, bold flavors are perfect with the savory richness of grilled and charred meats. I consider Zinfandel and bbq’ed or grilled meat to be right up there with other “classic,” tried-and-true food and wine pairings, like Sauvignon Blanc and Goat cheese, Spicy Asian food and Riesling, Tomato-based pasta dishes and Sangiovese, or Blue Cheese and sweet dessert wines. It just works. I love Zinfandels by Ravenswood, Ridge, Cline, and for something jammy and fruit-forward, Rosenblum. All of these are widely available locally. But there are a bunch of others that are terrific and well-priced too, so ask your wine purveyor for suggestions. Cotes Du Rhone is another good choice. Peppery, smoky, and rustic, this spicy red is near perfect complement to grilled and barbecued meats. Cotes du Rhone is a blend of different grapes, therefore, its personality and flavor will depend on the grape makeup of the wine. So while it’s hard to nail down an exact flavor profile, it will often be medium-bodied, with berry flavors and a smoky, peppery spiciness, wrapped in a softly tannic body. The nice thing about Cotes du Rhone is, it’s one of the best value-for-dollars wines out there, AND there will usually be lots of terrific examples to be found at your local wine purveyor. For example, here in Wilmington, World Market has several that are stellar for the price. Just go to the French wine section at the back of the store (it’s right by the furniture), and get yourself a La Vieille Ferme Cotes du Ventoux (for around $7 or $8 bucks! ), or the Parallele 45 by Jaboulet, and you’ll be all set. Other well-priced and delicious Cotes du Rhones come from Guigal, Chapoutier and Chateau de Beaucastel. 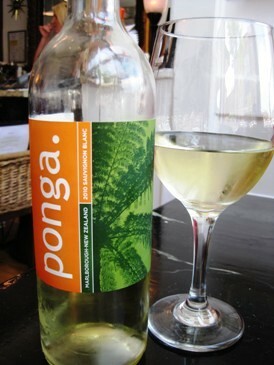 Big and spicy, this is another varietal that makes the grill-friendly wine list. With ripe, rich fruit, moderate tannins, and flavors of black pepper and smoke, it will pair well with just about any red meat, and anything smoked or charcoal grilled. For decently priced California Syrah, look for those from Bonny Doon Vineyard, Cline, Four Vines, Hahn, Steele and Rosenblum. Of course you can go for the Australian version, as in Shiraz; you’ll find plenty of examples of Aussie versions at your local wine purveyor. Or if you’re feeling adventurous (and flush, for some examples) try Syrah from its homeland, France’s Northern Rhone Valley. Sure, I love Rosé without reservation, for just about any occasion, but it really is an awesome choice for a BBQ. That’s because Rosé is uber-refreshing when it’s hot out, and has the ability to pair well with just about anything you put on the grill, and it’s flat out terrific with rich and spicy fare like barbecued meats. Rosé is also wonderful with pork – “pink with pork,” is something to keep in mind – so it’s a very good match with grilled sausages, and even hot dogs. Yes, hot dogs. As an added bonus, Rosé also goes well with grilled seafood and veggies. A couple of terrific, well-priced Rosés I like are the La Vieille Ferme Cotes du Ventoux Rosé (think of this as the Rosé equivalent to the red version of this wine mentioned above in the Cotes du Rhone section), and Crios de Susana Balbo Rosé of Malbec 2010. 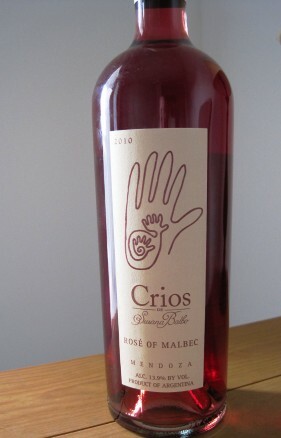 There are 20 Rosés I could recommend here, but these are two are both available at World Market, and the Crios de Susana Balbo Rosé can also be found at Harriss Teeter. So there ya have it, 4 wine choices for your next backyard BBQ. Now this is a wine I really wish I could find in the market or the wine store! I’ve had it locally at Circa 1922 and Caffe Phoenix, but never spied it on a store shelf anywhere. I last had it at Caffe Phoenix, paired with Spinach Salad with goat cheese, red onion and walnuts, tossed in a honey dijon vinaigrette, which it matched nicely. My friend Carolyn had the Pear & Fennel Salad, comprised of mixed greens, sliced pear, shaved fennel, toasted walnuts & parmesan and tossed in a lemon vinaigrette, another good match for this wine. Sauvignon Blanc is terrific with soft cheeses like Goat, Brie and Camembert; acidic fare like tomatoes; green veggies; and salads, so it was the perfect choice for our meal at Caffe Phoenix. Ponga wines are produced by the Scott Family Group, a family owned and operated winery located in the heart of Blenheim’s wine growing region in Marlborough.